So you may or may not know that over the last month I've been kicking it with the locals and partying it up with the travellers in Thailand! It has been one of the most amazing experiences of my life and rather eye opening as well. Thailand is a culture rich country with fantastic scenery, natural beauty and historical wonders. 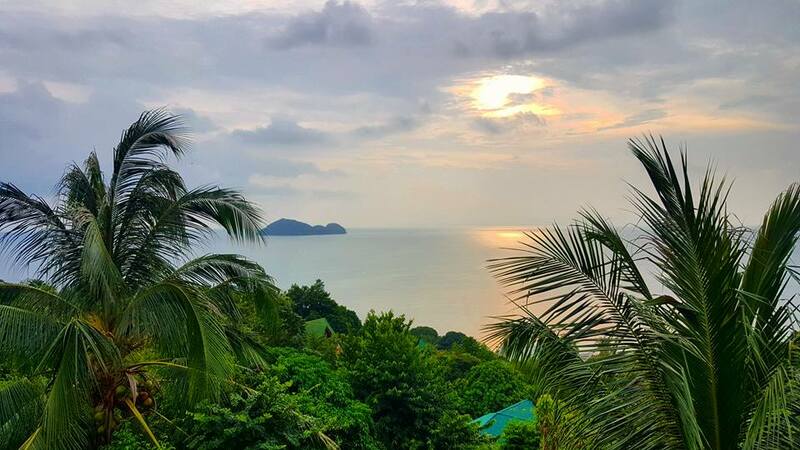 It attracts thousands of visitors each year, looking to chill out on the serene beaches or party it up in the likes of Ko Phangan and its infamous Full Moon Party. But there are a few things I wish I'd known before venturing across the world that I'm happy to now share with you! It sounds as interesting as it actually is! In Thailand you will often see signs which say not to flush toilet paper, some may even warn of fines for doing so. The sewerage network in Thailand is not designed to carry toilet paper and therefore bathrooms will provide a bin to dispose of your paper after use. They also have this funny looking gun attached to the wall, commonly known as "the bum gun". 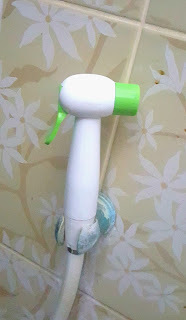 This little contraption is used to wash yourself prior to using toilet paper or instead of using paper. The idea is you won't need as much paper and won't stink up the bin (ewwww). It does take a bit of getting used to but after a while it becomes a normal part of your everyday, and is especially useful when you forget to take your wet wipes or the toilet has no toilet paper! When you head to your local bar in Thailand and request a rum and coke, you won't likely get an "off the shelf" bottle but instead a home-brew version. This is what makes drinking in Thailand so cheap, because you are drinking a knock off version of the real stuff. This is where you need to be a bit careful, because you can't know what the vendor has actually used in their alcohol mix. Thai alcohol is definitely a lot stronger than the stuff we drink at home. Vendors often use a lot more of it too, so you're going to get drunk a heck of a lot faster! My suggestion is to pace yourself at first until you know how the alcohol is going to affect you. This is particularly important when buying buckets as you can drink far more than you can handle without even knowing you're drunk. 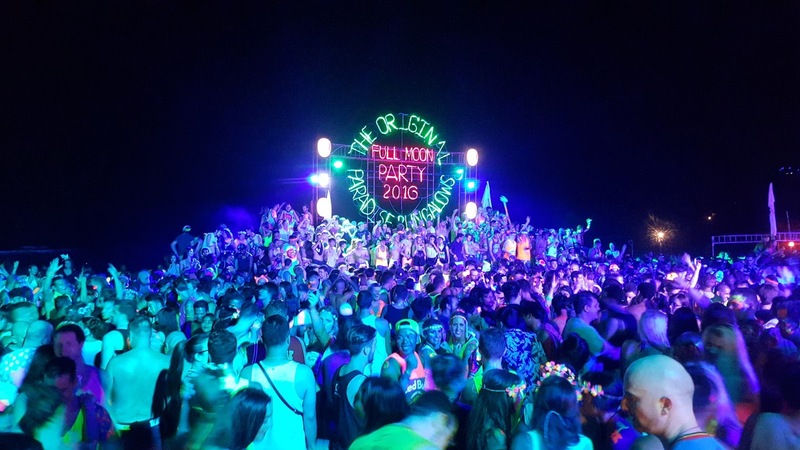 If you are paying a visit to the Full Moon Party, be sure to only buy a drink which is prepared using a sealed form of alcohol. For example, a vodka and redbull should contain a small bottle of Smirnoff. 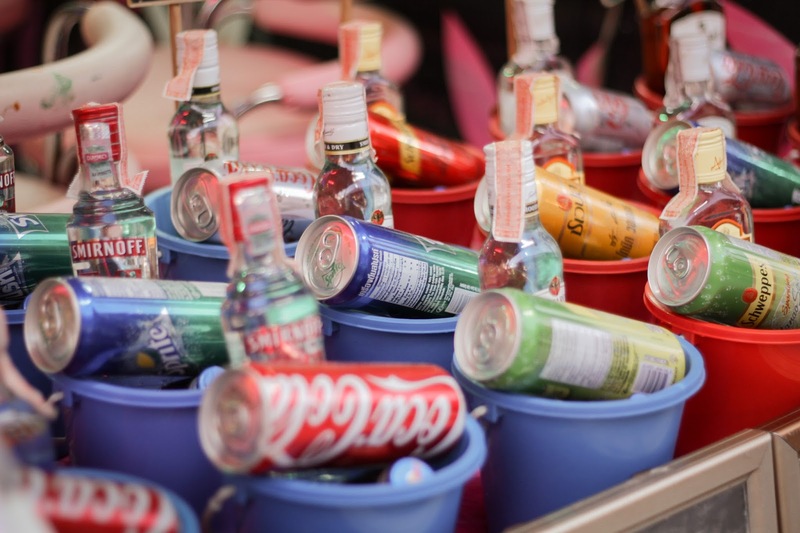 Watch the vendor crack the lid of the bottle and poor it into your drink, as the home-brew alcohol served at some stalls on the beach are renowned for being dangerous. Watch the vendor prepare the drink and if you see them go to use an already opened bottle refuse to take it. Safety first people! Leaving Australia I had my handy bottle of sunscreen ready to go, but little did I realise just how much I was going to have to use to stop myself getting burnt. So once I ran out I simply went to the pharmacy to buy some more. Oh em gee... since Thai people don't wear sunscreen the cost is only going to be borne by tourists and wow do they know it! The average price of sunscreen wherever I looked was around 500 baht (around $20 AUD or $14 USD). Considering back home I'd be looking to pay around $5 maximum this was a bit of a sting, so my advice - take extra with you! 4. Taxi and tuk tuk drivers lie... a lot! The amount of times I heard fellow travellers tell me that their tuk tuk driver had told them the Grand Palace in Bangkok was closed and that they should go elsewhere was ridiculous! At no point in time was the palace actually closed, the drivers will just tell you it is so they can take you somewhere else and get a commission from that attraction. Stand your ground with the drivers and just say that you want to go anyway. 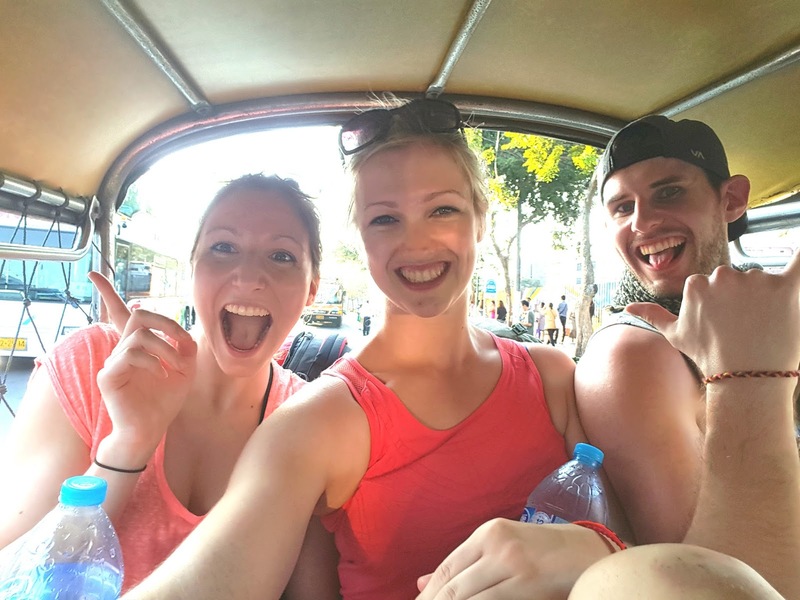 You should also negotiate the price of your fare before getting in the taxi or tuk tuk. Drivers will attempt to rip tourists off at any given opportunity, so make sure you have your street smarts with you. If you decide to take a taxi your best option is also to ask for a meter service. Most drivers won't want to do this as they will probably lose out as opposed to just asking for a lump sum figure, but it works far better in your favour (particularly heading to the airport). Just be aware that if you take a metered taxi service you will be required to pay any expressway / motorway tolls. Although it might be 40 degrees with 100% humidity, strappy singlets and short shorts aren't going to cut it. If you want to gain access to a place of worship, temple or often general attractions ladies need to have shoulders and knees covered. It is considered respectful of women to dress this way, so don't look at it as anything more than a taste of Thai culture. If you decide not to wear the appropriate attire you will either be refused entry or made to wear some awful coverup clothing provided by the attraction. For the sake of your selfies, take your own clothes! Unless you can afford to fly everywhere and take short coach trips or private taxis, transport in Thailand is not all that great. Taking a 12 hour overnight train didn't sound too bad to me, but when the aircon failed to work and I realised a 6 foot tall person could not fit in the bed straight I knew I was in for a tough trip. If you are catching a ferry over to the islands, also be prepared for rough seas (particularly from Ko Tao to Ko Phangan). Although flying is expensive, I would recommend the extra dollars not only to save your body from performing contortionist moves to try and sleep but also to save on time and not waste those precious days in this fantastic country! 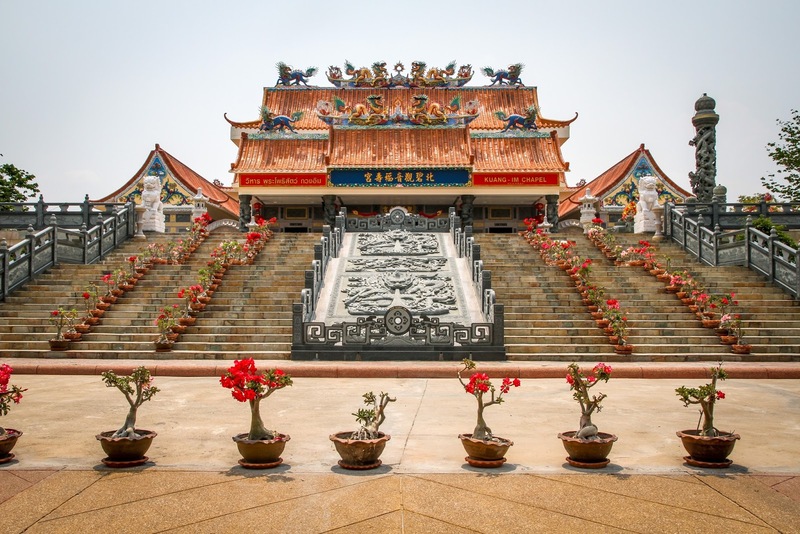 Hopefully with these few titbits of information you're trip to Thailand will be less of a shock! This country is truly amazing and I thoroughly recommend paying a visit. Feel free to share any other Thailand tips you might have or to ask for any advice! Great tips for visiting Thailand, we are addicted and are planning our 12th visit, your so right it is an amazing place! 100% agree about the long clothes, I saw people turned away at some places although to be honest it's not hard to research customs like that. Only thing is I packed trousers but there was no way I could wear them in the heat, so I bought the typical backpacker linen trousers. So comfy and practical - for long journeys too!